On the third floor in the Mayo Memorial Building’s “C” Corridor there is a small plaque on the wall. This marker is about the only remaining evidence of Station 32 in the old University Hospital. On this site in 1969 Marie Manthey and a group of pioneering nurses created the system of Primary Nursing. 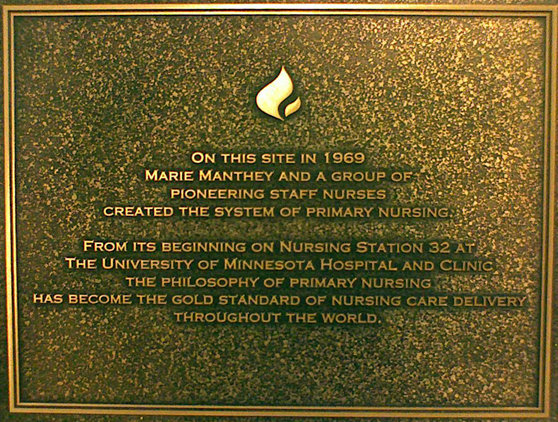 From its beginning on Nursing Station 32 at the University of Minnesota Hospital and Clinic the philosophy of Primary Nursing has become the gold standard of nursing care delivery throughout the world. As part of the History Project’s focus to collect and make available the historical material that documents the development of health care delivery and education at the University of Minnesota, I am happy to announce the recent acquisition of the Marie Manthey papers. The collection includes correspondence, research notes, writings and clippings related to Manthey’s work in primary nursing and her seminal publication The Practice of Primary Nursing. Manthey, who also served as one of the original Board of Governors for the University Hospitals, later founded the primary nursing consulting firm Creative Health Care Management in 1978. 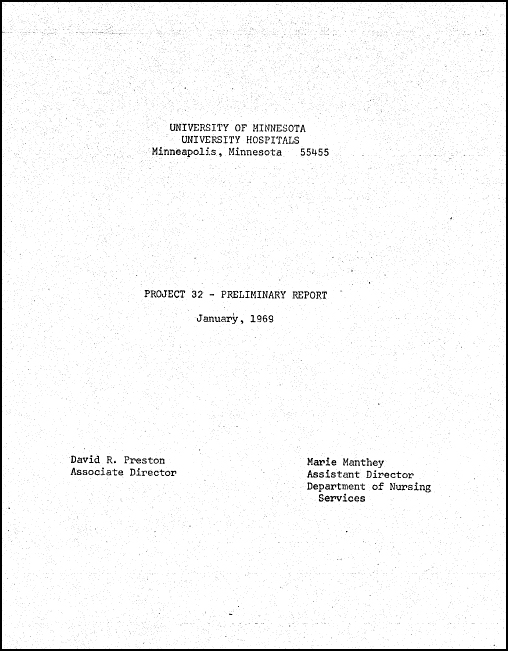 To learn more about the Station 32 Project and the initial studies conducted, read the Project 32 Preliminary Report from January 1969. The University of Minnesota and the Masonic Grand Lodge A.F. & A.M. of Minnesota celebrated the 50th anniversary of the dedication of the Masonic Cancer Hospital at the University of Minnesota on Saturday, October 4th. Planning for the hospital and fund raising activities began in 1955 with the establishment of the Masonic Cancer Relief Committee of Minnesota. The Grand Lodge of Minnesota originally pledged to provide $500,000 for the construction of the hospital but quickly raised the 1 million dollars to fund the entire project. 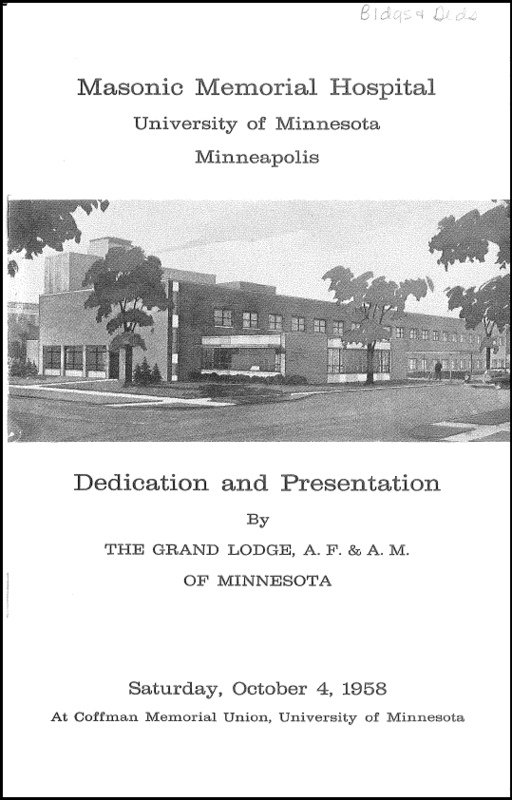 Look through the 1958 dedication booklet below to learn more about the establishment of the Masonic Memorial Cancer Hospital at the University of Minnesota.